When towing I find myself needing to simultaneously plug in / mount four items. 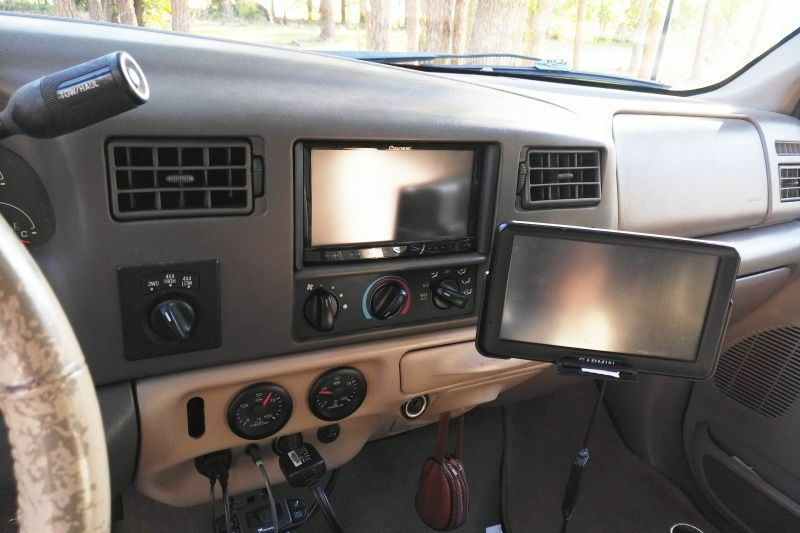 Cell Phone, RV GPS (not the onboard one), RV tires pressure monitor and 5ths backup camera. Is there a product that allows all this to be mounted, cleanly / securely consolidated? Ideally screens up top and power plugs down below. Also, is there a better forum to ask this question in? Are you asking for help identifying the psychological disorder you have that makes you want to mount that many things to your dash? I can mount two items at the same time, but using different mounts in different locations. More than that would be challenging for me. I found a decent looking mini console that matched my interior then permanently mounted a cigarette lighter power distribution with four outlets to the mini console, hardwired that box in. I changed out the cigarette lighter outlet on the passenger side with a dual USB/battery voltage outlet. Then my aftermarket stereo head has a USB outlet. The cigarette lighter box on the console powers my GPS and my RV backup camera, but the only time I use it is when backing. The dual USB in the dash gives SWMBO a place to keep her cell phone and tablet charged while we're traveling. The final lighter power outlet is used occasionally to charge my Light for Life flashlight. The USB outlet on the radio is used only when the cell phone I run Torque Pro starts running low on battery. When traveling with the grandkids, one of the console power outlets is used by an extension cord run under the seats to a dual USB outlet to keep their phones/tablets charged. I don't know but I'm guessing you can get all of that on your phone... tire pressure, gps, etc. Seems like there is an app for everything. That way you can cut it all down to just one do-dad or two at the most. I can't imagine driving with all that clutter on top of the standard dash board gauges. 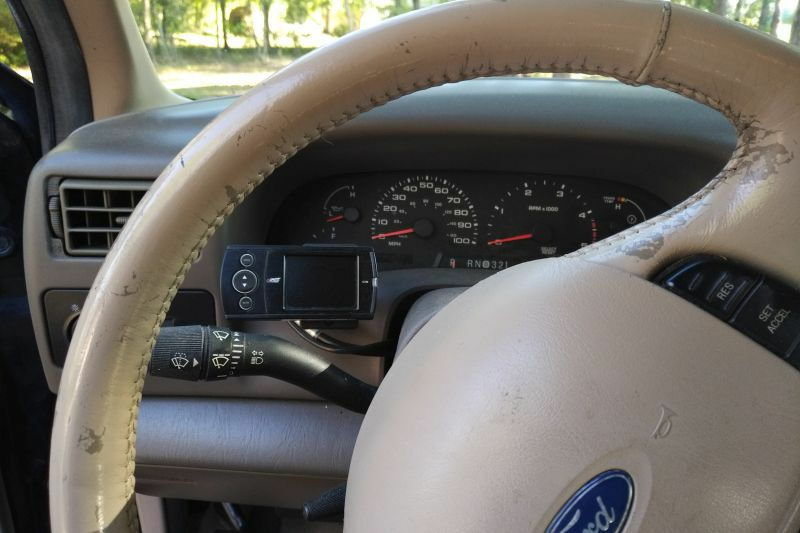 Check out this dash mount. It may not be able to fit all of your gear, but it might be a foundation upon which to build. That plus a series of RAM Mounts should fit the bill. In my case this was more of a rant; to accommodate all of our modern technology aids we need the cockpit space of a Peterbuilt - and a separate battery to power everything. My phone stays in my pocket. If it rings I hand it to someone in the truck. I have a standard gps (haven't found a need for a special rv gps). I would never trust a camera alone when backing into a campsite with people around who I guarantee will get behind me or under a tire sooner or later so I can't figure what's the purpose of having one..
A tpm system would be nice...been meaning to look into that. 7' GPS and Edge are hard mounted, cell phone is on a flex mount off the floor. E series lower dash has 3 12v sockets, usb and aux. There is another 12v socket behind the gps. When we travel the boss has her laptop on a Ram Mount Back up camera is in the radio head.